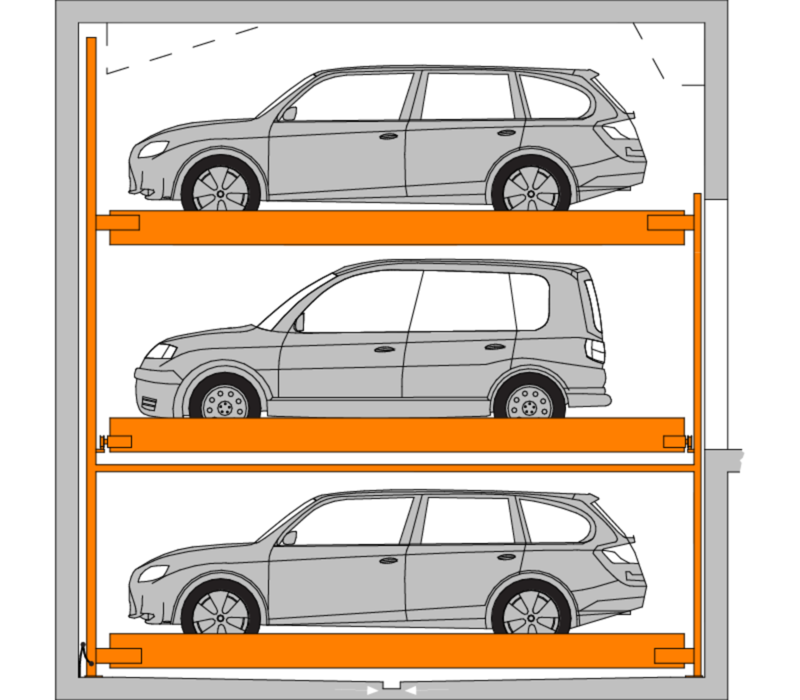 The Richmond TrendVario Project is home to 23 parking spaces, using a three level system with horizontal and vertical shifting platforms. Because many tenants use heavy vehicles, the weight capacity was upgraded to accommodate SUVs. All TrendVario systems, as well as some Stack Parker systems can be upgraded to accommodate heavier vehicles.